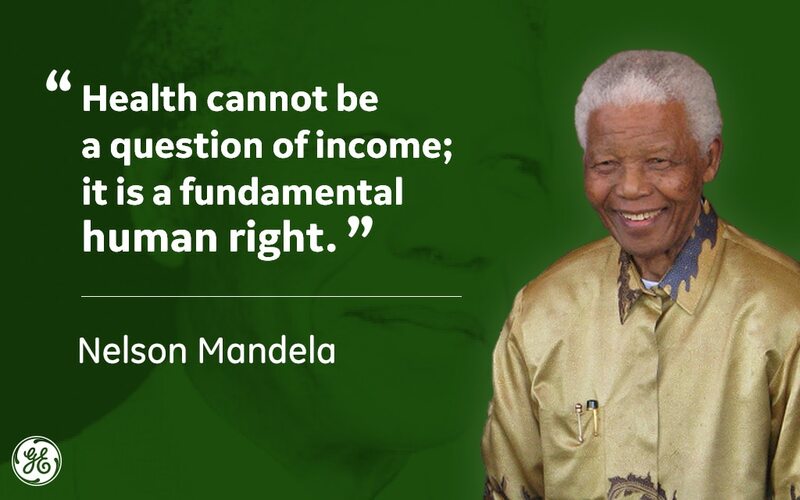 Before he passed in 2013, Nelson Mandela shared his dream for the children of Southern Africa: create a hospital that offered quality healthcare for the generations of today and tomorrow, regardless of ability to pay. Opened in Johannesburg, South Africa on Friday, December 2, the new 200-bed specialist hospital and world class tertiary care facility for children has made that vision a reality. After two years of construction, the new Nelson Mandela Children’s Hospital Trust will be a center of excellence for numerous pediatric specialties, including Cardiology and Cardiothoracic Surgery, Oncology and Haematology, and Neurosciences. The Children’s hospital is now one of four on the African continent that offers research, training and special procedures specifically for children. In helping to realise the vision of Nelson Mandela to bring better health to the children of Africa, GE is serving as the strategic partner in designing and equipping various parts of the hospital. 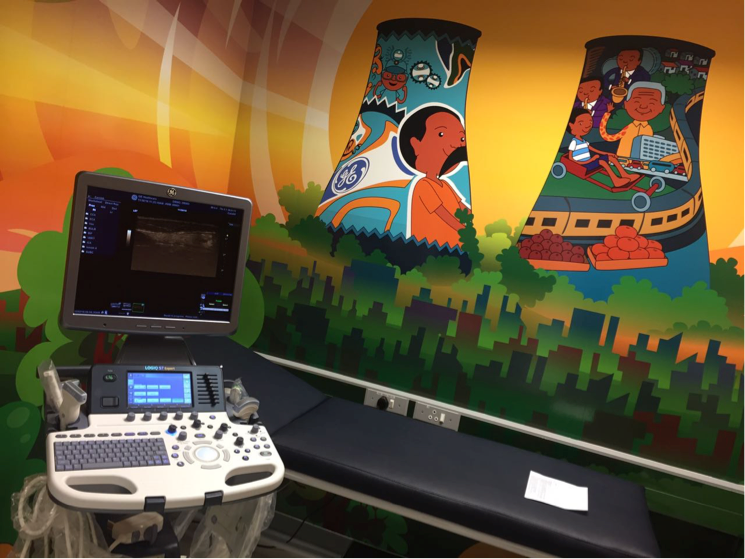 From low-dose digital imaging equipment to incubators, IT software and ultrasound machines, clinicians at Nelson Mandela will have access to leading technologies to better see, detect and diagnose disease. Together with U.S. based creative agency, Dream, Think, Imagine (DTI), the partners created a themed environment within the hospital – from the murals to the clinical departments – with an immersive experience designed to make medical imaging more inviting for pediatric patients. 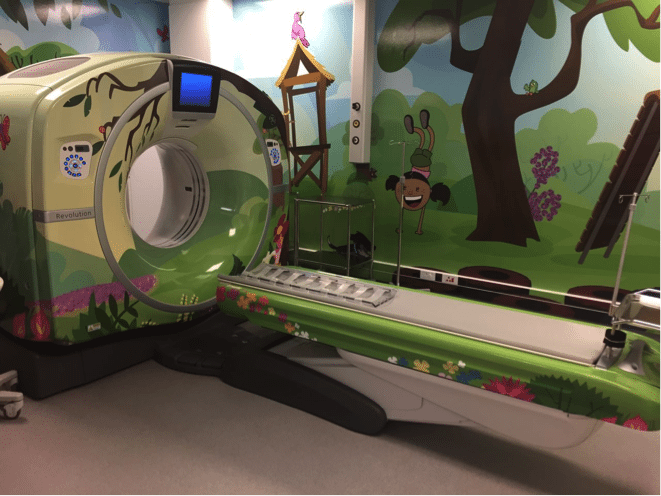 To bring the imaging rooms to life, DTI developed captivating characters, lush visuals, games and hands-on activities to enhance the medical imaging experience, all aimed at lowering anxiety for children undergoing scanning and their families. Having been involved in the project since 2012, GE has provided wing-to-wing solutions from project development through to project realisation. In addition to a $1 million donation from GE Foundation in 2014, GE put together a team of cross-disciplinary specialists to ensure every part of the process, from planning to execution and compliance, meets only the highest standards in global healthcare. As part of its continued commitment to NMCH, GE will provide comprehensive equipment maintenance services and train staff with the skills and confidence they need to use the equipment to their fullest capacity.